ContentCal is an easy-to-navigate visual calendar with a neat dashboard. This social media tool is great for anyone managing their own business, social media freelancers, or agencies who prefer hassle-free solutions for creating and managing great social content. ContentCal was designed to enable all types of users to create and schedule content. 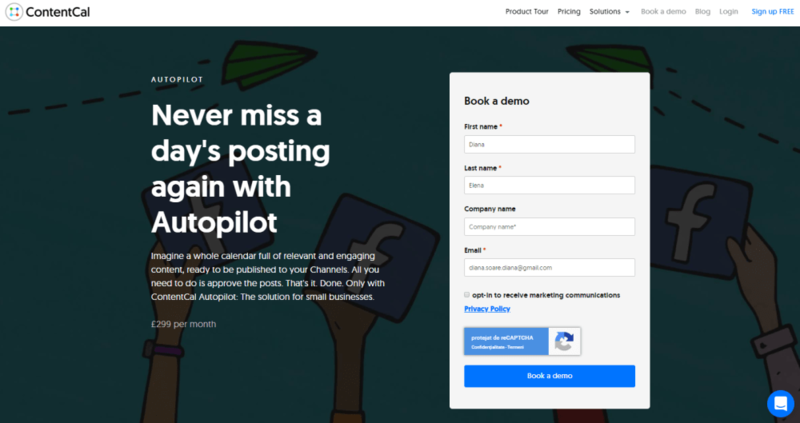 If you don’t believe me, just create a free ContentCal account and discover their tool and dashboard. There’s a Content tab, Analytics, Campaigns, and Members & Approval. Whenever you want to switch to another tab, you can do it so by clicking the tabs on top. Hassle-free, confusion-free. ContentCal can be used by individuals as well as by small or large companies. They offer powerful tools for planning and scheduling content, in an easy-to-use editor. There are two ways of using ContentCal. You can either buy one of their subscription pricing plans, or go for one of their smart solutions, and get the most of this tool. 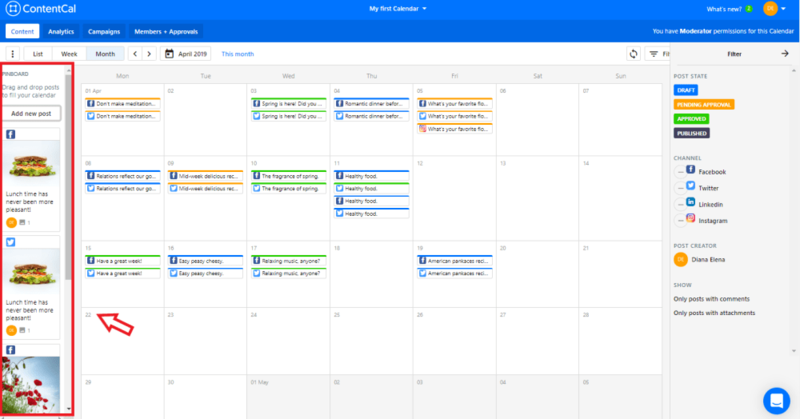 With ContentCal you can easily plan, schedule and post on multiple social media platforms at once. Their editor allows you to create posts for all your social media accounts, and include images or videos. Also, you can choose the status of your posts when you add them, send an approval request or publish them immediately. What’s great about their tool is that you and your colleagues can comment on posts, leave feedback and make adjustments before publishing. So, planning and posting is true teamwork. We all know we need to check how posts look on each social media platform before publishing. 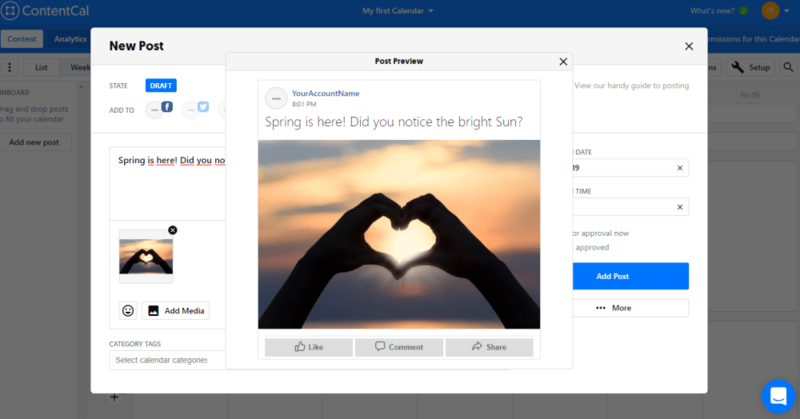 ContentCal understands this is a basic need of social media professionals and they included the preview option. Just click the More options and select Post preview to see what your content looks like live. 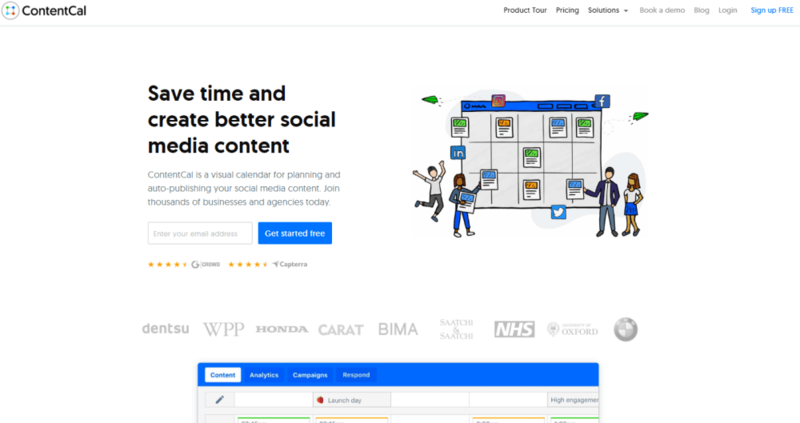 Creating content, planning, and scheduling in ContentCal is easy peasy, thanks to their incredibly easy to read calendar. 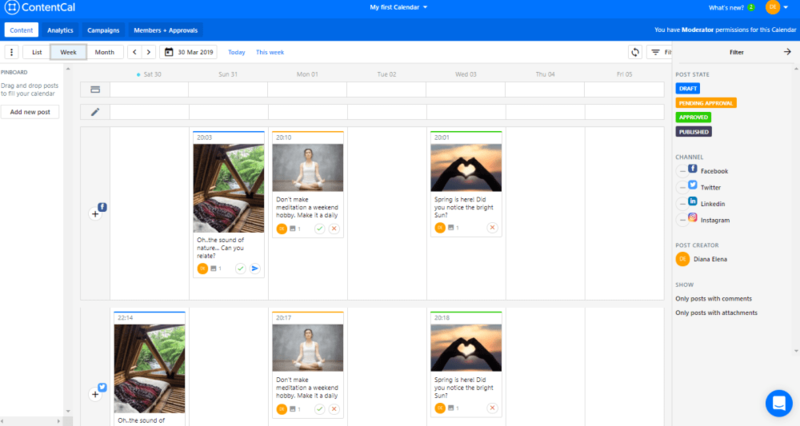 Depending on how you plan your content (one week in advance, one month in advance), you can choose to view the content calendar by week or month. And here is the monthly view. You may have noticed the colored stripes on top of each post. These stripes are status labels and their presence there is to help you, and your team members easily understand the calendar, know in an instant what’s been approved, what needs approval and what has been published. Pretty helpful! This tool is extremely helpful for storing your ideas, web findings and future posts. You can easily transfer all these to your calendar by just drag and drop. Or vice versa, if you want to take something out of your plan, and use it later. If you’re a big company or an agency you may need to handle multiple social media accounts for all your brands and sub-brands. With ContentCal creating and managing multiple calendars is easy. You can create individual calendars for each of your brands and access them whenever you need them. With individual calendars there’s no space for confusion or mistakes. Working together with your team is possible in ContentCal. 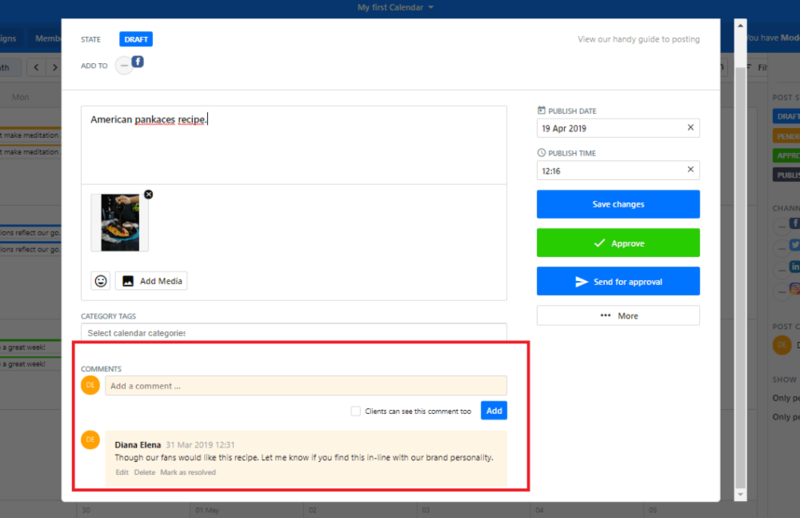 You can add your team members, give them specific permission levels to the calendars (moderator, view+comment, creator, approver) and even create a predetermined approval flow. When all your content is checked and approved by everyone, no compromising typos will make it online! ContentCal offers multiple ways of assessing your performance on social media. One way to do it is to get a bird’s view over all of your social media channels and compare them. Of course, you’ll want to get in-depth with analytics and see how your posts perform and what is the feedback of your followers. You can evaluate each and every post, analyze engagement and compare it against relevant metrics. 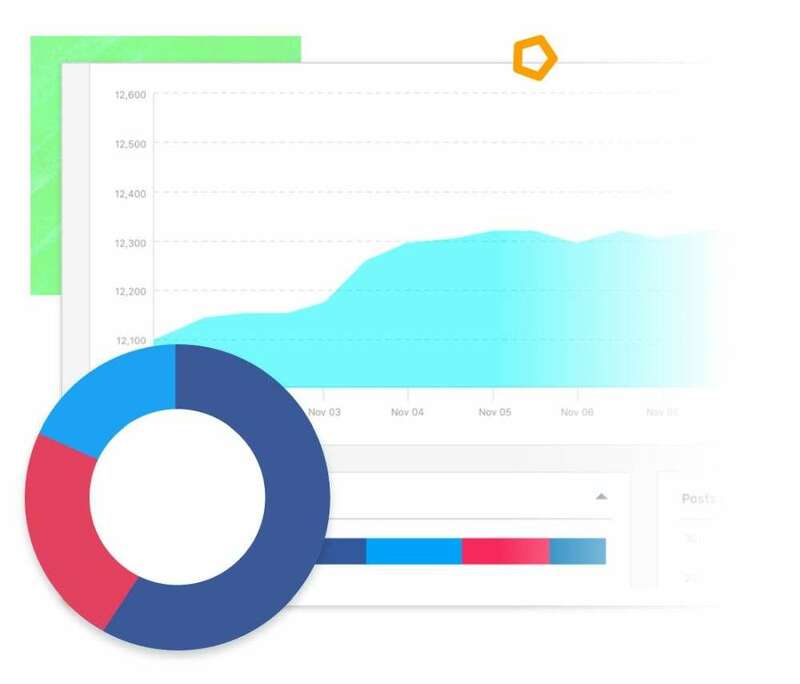 Using ContentCal’s valuable analytics reports you can then adjust your strategy, adopt new writing styles, types of content and publishing hours. ContentCal allows you to take all this information in a nice and neat visual report and share it with your team members or clients. Using visual graphs and charts, the analytics reports are easier to digest and understand. And not to mention, you’ll make a great impression! This feature is currently available for Twitter, but they promise it will soon be available for Facebook too. For the moment, you can use it to answer to comments and direct messages on Twitter, without ever leaving ContentCal. You can assign a conversation to a team member who knows the topic of the discussion and thus you avoid giving general responses. We all know customers are looking for a specific answer on social media and not getting their questions answered could mean disappointment and a bad brand experience. Provides access to internal notes where you can discuss answers with your colleagues to make sure your brand response is consistent and relevant. Helps you label your messages to navigate them easily. You can mark messages as high-priority or spam. 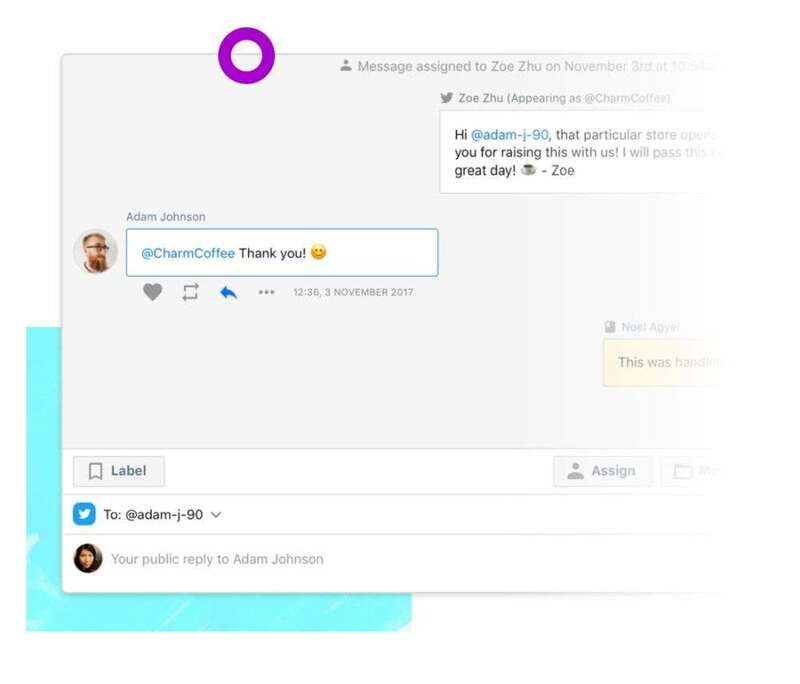 Makes it easy for you to answer repetitive questions by saving replies for quick responses. ContentCal offers a wide range of pricing plans, for all types of businesses and needs. They have plans for individuals, small businesses and large businesses and even for agencies. Social media freelancers or business owners running their own social media content can pay as low as ￡12 /month (￡9/month for a yearly subscription). Companies can pay ￡39/month (￡29/month for a yearly subscription) and have 2 team members manage the content, plus 2 calendars. There’s also a premium plan for companies at ￡80/month (￡58/month for a yearly subscription) which offers enhanced features and premium support. Their agency plan is ￡399/month (or ￡299/month, billed yearly) but they provide unlimited calendars and access for team members. They also offer custom plans for enterprises which are billed annually. This solution is a lifesaver for businesses who don’t have an in-house social media manager, for various reasons and don’t have the time to browse the internet and curate content for daily posts. What ContentCal offers through this package for ￡299/month is ready curated content and posts that are personalized to your brand and needs. All you have to do is approve the posts. In the beginning, you will fill in a briefing form, telling ContentCa about your business, what you do and who is your audience. Their content creators will start creating social media content based on the information you’ve given them. All the content will be stored in your calendar, waiting for you to edit or approve. You can also add content yourself, should you want to. Their team will take over creating and planning daily posts for all your social media channels, and you can relax and focus on your business. 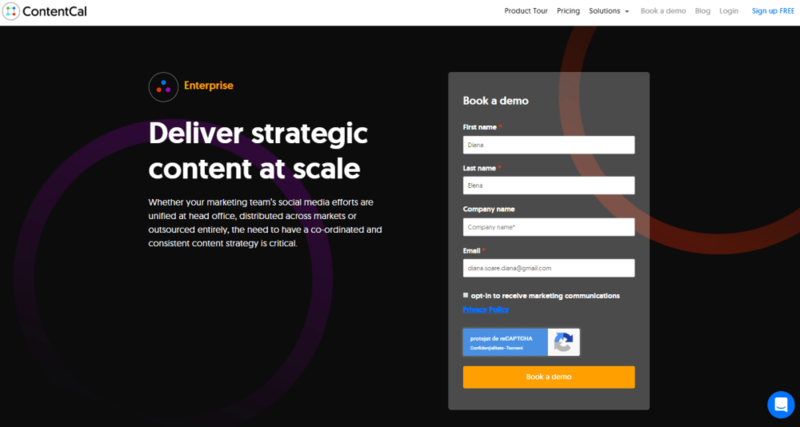 This solution is designed for large companies and offers customized strategic content for social media communication at scale. Access to all their software features and collaborative work tools. Plus, access to their team of specialists to help you create a strategic social media approach, and also come up with coherent and consistent content for all your social media channels. Support and guidance in all your social media advertising actions. Monthly analytics reports presented by one of their Success Managers who will interpret your achievements and provide you with actionable tips to improve your performance. 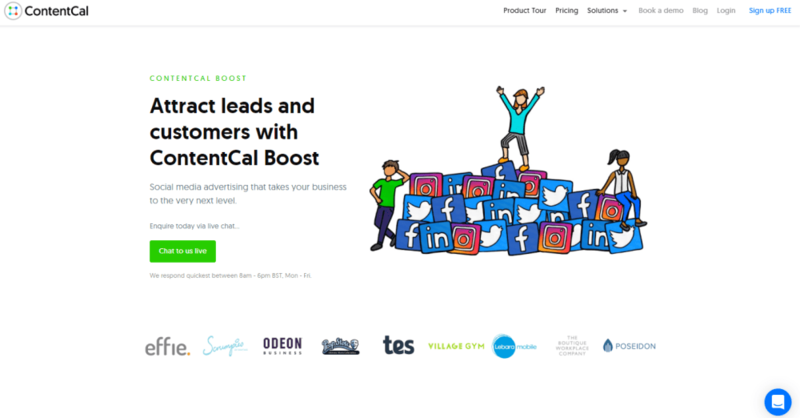 Boost is ContentCal’s social media advertising service. Increase engagement with your posts, page and brand and build customer loyalty. And ultimately, increase your revenue. If you’re looking to buy a subscription with a social media tool, you may want to give ContentCal a chance. My advice to you is to sign up for free, test and try their tool for a week and see how you like it. I personally love their calendar and publishing tools. Everything about it is visual and I can understand what’s going on in an instant. It’s got a less complicated interface than other tools, which is a significant advantage because you get your job done faster and can get back to your work. After all, that’s the whole idea of using a social media tool, isn’t it?